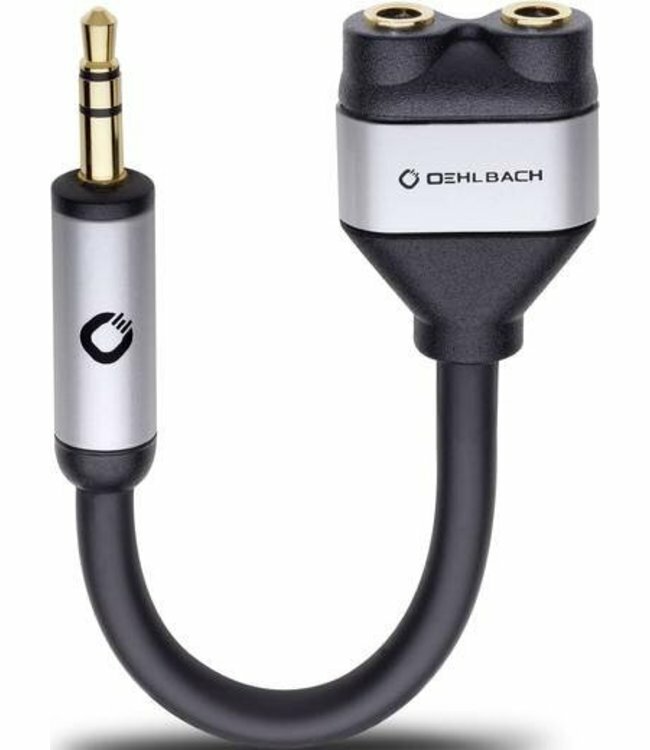 High-quality OEHLBACH I-connect adapter. The perfect solution for he connectionof two headphones to one portable multimedia player. with th 24 ct. gold-plated plugs and an efficient cable shielding for optimal contact. Lees meer.. High-quality OEHLBACH I-connect adapter. The perfect solution for he connectionof two headphones to one portable multimedia player. with th 24 ct. gold-plated plugs and an efficient cable shielding for optimal contact.